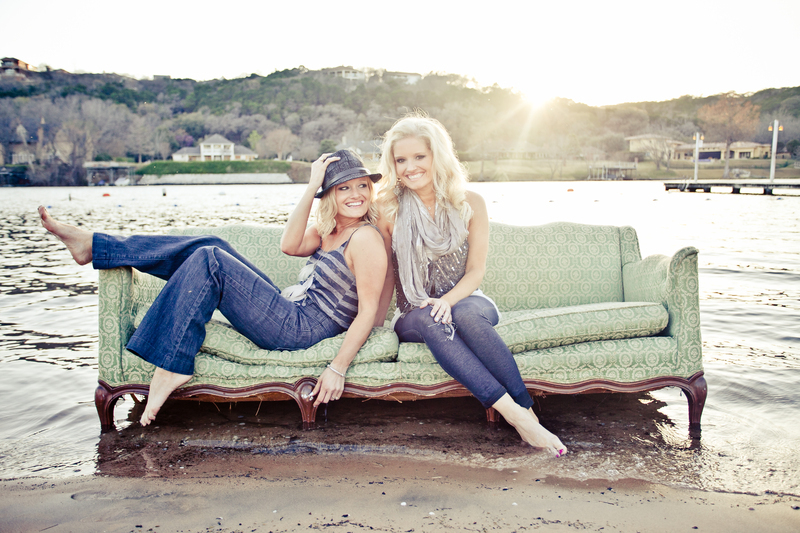 The Rankin Twins - Austin, Tx. We are the RANKIN TWINS...April & Amy. Since we were little, that's what we've been called. So we thought that was a great name to stick with. Well we have been singing tunes of artists such as The Judds, Madonna, Reba, and Diamond Rio since we were little girls. We've always had a love for performing and knew one day we'd be doing something more than singing at family member's weddings and our annual Christmas Eve parties. So, after a breakup at the end of 2006 Amy wrote her first song and things just escalated from there. We recorded our first demo in March 2008 and formed a band in Dallas, Tx in that next month and began performing in May of '08. We've played shows all over Texas and were just starting our music career when Amy was diagnosed with a brain tumor. 2 surgeries and a bunch of headaches later....We uprooted and moved to Austin,Tx and were back in the saddle and releasing our debut EP "Headaches and Heartbreaks" ... hoping to follow in the footsteps of great acts like The Dixie Chicks, Sara Evans, and the Judds to name a few. We also started a photography company called TWINTY PHOTOGRAPHY in 2007 that we have grown and continue to pursue. Creativity lives in our souls and we are so happy to be "doing what we love and loving what we do!"